First and foremost, a competitive pricing platform must have the ability to collect precise and accurate pricing data. 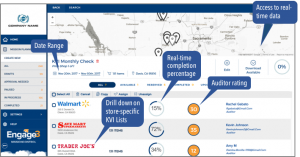 This allows retailers to target competitive shops, optimize frequency, and specify which items to focus on within regions or individual stores. Rather than casting a wide net to see what useful data gets brought in, retailers must be able to get a global look at the actions of their competitors while also drilling down to store-specific opportunities. When they have both views, they can see clearly where they are winning and losing. Essentially, such a system puts both a telescope and a microscope into the hands of merchants and their pricing analysts, enabling them to comprehensively study their competitor’s universe. It allows them to reverse-engineer their competitor’s approach to pricing and to develop a targeted response, especially if they see a weakness. A strong quality assurance workflow ensures that data being collected is accurate. A competitive pricing platform must also have a strong quality assurance workflow. With today’s mobile app-enabled technology, automated processes can greatly reduce manual errors and ensure that only quality data is being captured at shelf edge. Additionally, such apps can compare shelf data against historical records, flagging any SKU pricing that seems historically unreasonable. Advanced analytics can assure that the data being captured is accurate in terms of price, brand, sizing, and product attributes. This technology can eliminate much of the human error that has plagued competitive shop programs. With the rise of private labels, competitive pricing platforms must be able to compare product attributes. In traditional competitive shop programs, as many as 40% of items go unaccounted for because there is no UPC match. To solve this problem, competitive pricing platforms must be able to utilize visual data capture technology and advanced character recognition to compare product attributes. This allows product linking to occur not just by UPC, but also by key attributes and statement of ingredient similarities, i.e. gluten-free and organic. This creates a more accurate picture of a competitor’s private label pricing strategy and their total value proposition. Dynamic KVI list support can help you customize by store. Merchants need the ability to drill down and understand the decisions competitors are making within specific regions, designated market areas (DMAs), cities and individual stores across their overall pricing strategy or within specific merchandise categories. This would enable merchants to lead their competition by being right on pricing with the right items that are important to customers at a localized level. Such flexibility in designing and executing a more targeted approach to competitor pricing would allow for significant savings in budgeted dollars for competitive shops. A retailer could go after the data they actually need when they need it, rather than spending dollars on costly full book programs. In today’s world of e-commerce, more and more retailers are taking an omni-channel approach to selling. 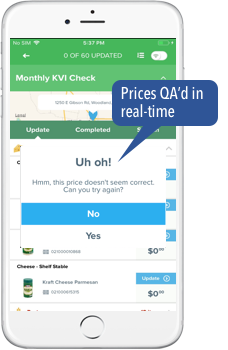 A technology-enabled competitive pricing platform needs to take advantage of advanced web crawling algorithms to acquire this competitive data and correlate it against the data captured by auditors in physical store checks. This would enable a more efficient and cost-effective approach to acquiring competitive pricing data. As advanced analytics enable faster and more accurate decision-making, organizations will need to change to more cross-functionally aligned metrics that strategically drive the financial success of a company. When considering today’s retail organizational structure, is what drives a merchant’s decisions the same as what motivates the employees in a pricing department? Having the data to make decisions regarding competitive pricing at the speed of retail requires a major step forward in enabling accurate pricing decisions to be made with a sense of urgency and strategic intent. However, to fully unlock its true impact to P&L, the retailer will benefit from progressive thinking around how to align objectives and an incentive structure that motivates and drives collaboration. This will enable different departments with complementary skill sets to pull the rope in the same direction and drive a total value proposition focused on the customer.